Belinda Hernández joined TILDA in August 2017 as a Bioengineer. Her research interests include Bayesian models and machine learning methods for use on high dimensional data such as proteomic and genomic data as well as multivariate and predictive modelling. She works across a number of teams in TILDA such as the Neuro Cognitive, Neuro Cardiovascular, Frailty and Resilience and the Bioengineering groups. 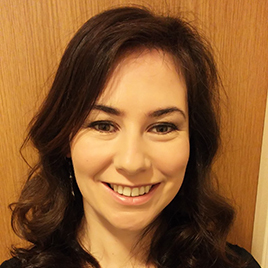 Prior to TILDA Belinda was an Assistant Professor in Statistics in the School of Mathematics and Statistics UCD (2015-2017) and completed her PhD in Bayesian methods for Proteomic Biomarker development and validation in UCD in 2015. Belinda also has an MSc in Applied Statistics from Oxford University (first class honours) and a BA Mod in Management Science and Information Systems from Trinity College Dublin (first class honours).